Islet amyloid, formed by aggregation of human islet amyloid polypeptide (hIAPP), is associated with beta cell death in type 2 diabetes as well as in cultured and transplanted human islets. Impaired prohIAPP processing due to beta cell dysfunction is implicated in hIAPP aggregation. We examined whether the glucagon-like peptide-1 receptor (GLP-1R) agonist exenatide can restore impaired prohIAPP processing and reduce hIAPP aggregation in cultured human islets and preserve beta cell function/mass during culture conditions used in clinical islet transplantation. Isolated human islets (n = 10 donors) were cultured with or without exenatide in normal or elevated glucose for 2 or 7 days. Beta cell apoptosis, proliferation, mass, function, cJUN N-terminal kinase (JNK) and protein kinase B (PKB) activation and amyloid formation were assessed. ProhIAPP, its intermediates and mature hIAPP were detected. Exenatide-treated islets had markedly lower JNK and caspase-3 activation and beta cell apoptosis, resulting in higher beta/alpha cell ratio and beta cell area than non-treated cultured islets. Exenatide improved beta cell function, manifested as higher insulin response to glucose and insulin content, compared with non-treated cultured islets. Phospho-PKB immunoreactivity was detectable in exenatide-treated but not untreated cultured islets. Islet culture caused impaired prohIAPP processing with decreased mature hIAPP and increased NH2-terminally unprocessed prohIAPP levels resulting in higher release of immature hIAPP. Exenatide restored prohIAPP processing and reduced hIAPP aggregation in cultured islets. Exenatide treatment enhances survival and function of cultured human islets and restores impaired prohIAPP processing in normal and elevated glucose conditions thereby reducing hIAPP aggregation. GLP-1R agonists may preserve beta cells in conditions associated with islet amyloid formation. The online version of this article (doi: 10.1007/s00125-012-2802-z) contains peer-reviewed but unedited supplementary material, which is available to authorised users. Y. J. Park and Z. Ao contributed equally to these studies. 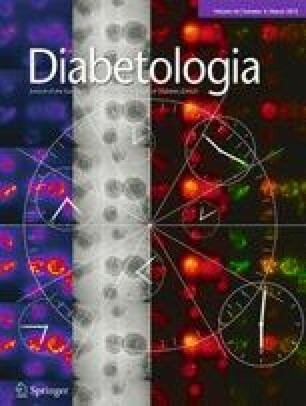 Type 2 diabetes is characterised by progressive beta cell failure and reduced beta cell mass [1, 2] associated with islet amyloid formation [3, 4, 5]. Islet amyloid, mainly formed by aggregation of human islet amyloid polypeptide (hIAPP, amylin), is toxic to beta cells and contributes to progressive beta cell dysfunction and death in type 2 diabetes [3, 4, 5]. Interestingly, islet amyloid also forms in human islets during culture [6, 7, 8] and following transplantation into mouse models [9, 10] and patients [11, 12] with type 1 diabetes. The formation of amyloid in cultured human islets is associated with beta cell dysfunction and apoptosis, both of which are prevented by inhibition of hIAPP aggregation [6, 8]. Furthermore, its formation in transplanted islets leads to graft failure and recurrence of hyperglycaemia in animal models of type 1 diabetes [10, 13, 14]. Several mechanisms have been shown to mediate amyloid-induced beta cell death, including membrane disruption by hIAPP aggregates [15, 16], activation of the Fas-mediated apoptosis and caspase pathways [7, 8, 17], interaction of hIAPP aggregates with components of beta cell membranes (such as heparan sulphate proteoglycans  or touch receptors ), endoplasmic reticulum stress [20, 21], oxidative stress , activation of the cJUN N-terminal kinase (JNK) pathway  and disruption of the autophagy/lysosomal pathway . Growing evidence suggests that small hIAPP aggregates (e.g. oligomers) rather than large amyloid deposits induce beta cell toxicity [3, 4]. Since multiple apoptotic pathways are initiated by hIAPP aggregates, the most feasible strategy to protect beta cells from amyloid toxicity appears to be prevention of amyloid formation. hIAPP is a normal beta cell peptide that is co-synthesised and co-secreted with insulin in response to beta cell secretagogues . Three factors have been proposed to contribute to amyloid formation in type 2 diabetes: (1) presence of an amyloidogenic sequence in the hIAPP molecule ; (2) elevated hIAPP production and secretion from beta cells associated with an increased demand for insulin [27, 28, 29] and (3) impaired prohIAPP processing associated with beta cell dysfunction [28, 30, 31]. The mechanisms underlying amyloid formation in cultured and transplanted human islets are still unclear but lower clearance of hIAPP secreted from beta cells due to the disrupted vasculature and beta cell dysfunction caused by islet culture and transplantation may contribute to this process. Mature IAPP is produced by cleavage of proIAPP at its COOH- and NH2-termini by the prohormone convertase 1/3 (PC1/3) and PC2, respectively, the two key enzymes also responsible for processing of proinsulin [32, 33]. Cleavage by PC1/3 occurs early in the beta cell secretory pathway whereas cleavage by PC2 occurs mainly in the beta cell granules . Therefore, the latter step might be impaired due to insufficient processing time in the conditions associated with release of immature granules by beta cells. The impaired processing of prohIAPP, particularly at its NH2-terminal cleavage site, potentiates hIAPP aggregation thereby increasing amyloid-induced beta cell death [30, 31]. Thus, restoring impaired prohIAPP processing may provide a new strategy to reduce hIAPP aggregation and its beta cell toxicity in conditions associated with islet amyloid formation such as type 2 diabetes, islet culture and transplantation. Glucagon-like peptide-1 (GLP-1) is a potent incretin hormone produced by the intestinal L cells in response to nutrients. GLP-1 and GLP-1 receptor (GLP-1R) agonists stimulate glucose-dependent insulin secretion, increase insulin synthesis, beta cell proliferation and neogenesis and reduce beta cell apoptosis induced by various apoptotic factors both in vitro and in vivo in animal models [34, 35, 36, 37, 38, 39]. The ability of GLP-1 to enhance beta cell survival and function is of significant clinical benefit in type 2 diabetes [40, 41]. Therefore, long-acting GLP-1R agonists such as exenatide are currently used for treatment of type 2 diabetes. Moreover, clinical studies suggest that treatment of islet graft recipients with type 1 diabetes by GLP-1R agonists may improve survival and function of transplanted islets [42, 43]. In this study, we used human islets in culture as an ex vivo model of impaired prohIAPP processing and islet amyloid formation, to test whether exenatide could restore processing of prohIAPP thereby reducing amyloid formation and its beta cell toxicity. We also examined the protective effects of exenatide on the viability and function of beta cells in isolated human islets cultured under conditions used in clinical islet transplantation, as a potential approach to preserve beta cells during pretransplant islet culture. Finally, the effects of exenatide were tested in human islets cultured in elevated glucose to mimic the hyperglycaemic conditions of diabetes. Exenatide (Byetta) was from Amylin Pharmaceuticals (San Diego, CA, USA). Synthetic IAPP (1–37 amino acids) was from Bachem (Torrance, CA, USA). Thioflavin S, dithizone, BSA, phenylmethylsulfonyl fluoride (PMSF) and aprotinin were obtained from Sigma-Aldrich (Oakville, ON, Canada). FBS, penicillin, streptomycin and gentamicin were from Invitrogen (Burlington, ON, Canada). CMRL culture medium was from Mediatech (Herndon, VA, USA). All electrophoresis chemicals were from Bio-Rad Laboratories (Mississauga, ON, Canada). IgG purified antibody (T-4145) specific to IAPP was obtained from Peninsula Laboratories (Belmont, CA, USA). Antisera specific to NH2- and COOH-terminal flanking regions of prohIAPP were provided by C. B. Verchere (University of British Columbia, Vancouver, BC, Canada). The NH2- and COOH-terminal prohIAPP antisera were generated in rabbits using peptides corresponding to amino acids 4–16 (8546) and 44–56 (8548) of prohIAPP, respectively, and conjugated to keyhole limpet haemocyanin. Antibody titres were assessed by enzyme-linked immunosorbent assay (ELISA) using the synthetic peptides as standard. Antisera had no detectable cross-reactivity with mature hIAPP as assessed by western blot using synthetic hIAPP (Bachem). Human islets isolated from male and female cadaveric pancreatic donors aged 23–61 years were provided by the Ike Barber Human Islet Transplant Laboratory (Vancouver, BC, Canada) in accordance with approved procedures and guidelines of the Clinical Research Ethics Board of the University of British Columbia. Hand-picked human islets (purity >90% as assessed by dithizone staining) were cultured in CMRL supplemented with glucose (normal [5.5 mmol/l] or elevated [11.1 mmol/l, to induce amyloid formation]), 10% (vol./vol.) FBS, 50 U/ml penicillin, 50 μg/ml streptomycin and 50 μg/ml gentamicin in humidified 5% CO2/95% air at 37°C. Isolated human islets were cultured free-floating in non-adherent 24-well culture plates (50 islets per well, duplicate) in 5.5 or 11.1 mmol/l glucose for 2 or 7 days. Exenatide (Byetta) was added to the islet culture medium in a final concentration of 10 nmol/l. Culture medium and exenatide were replaced every 48 h. To determine the optimal concentration of exenatide for these studies, human islets were cultured with exenatide (1–10 nmol/l) and beta cell apoptosis was quantified (ESM Fig. 1). The concentration of exenatide (10 nmol/l) at which islets had the lowest levels of beta-cell apoptosis was used for the following studies. Caspase-3 activity was measured in islet lysates from non-treated and exenatide-treated human islets (300 islets, duplicate; five human islet preparations) following 7-day culture in 5.5 mmol/l glucose using a human specific cleaved (active) caspase-3 ELISA kit from Roche Diagnostics (Laval, QC, Canada) according to the manufacturer’s instructions. Data are expressed as percentage of caspase-3 activity in non-treated islets (taken as 100%). Paraffin-embedded islet sections (5 μm) were dewaxed, rehydrated and blocked in 2% normal goat and/or donkey serum (Vector Laboratories, Burlingame, CA, USA). Fixed islet sections (following antigen retrieval with citrate buffer) were incubated overnight with guinea pig anti-insulin alone (1:750; Dako, Carpinteria, CA, USA) or with rabbit anti-glucagon (1:750; Dako), anti-oligomer (A11; 1:400; Invitrogen), anti-cleaved caspase-3 (1:100; Cell Signaling, Pickering, ON, Canada), anti-phospho-JNK (1:100; Cell Signaling), anti-phospho-PKB (1:50; Cell Signaling) or mouse anti-PCNA (1:250; Cell Signaling). Islet sections were then incubated with Texas red-conjugated anti-guinea pig (1:750; Jackson Laboratories, West Grove, PA, USA) and Alexa 488-conjugated anti-rabbit (1:100; Molecular Probes, Eugene, OR, USA) or anti-mouse (1:250) for 1 h at room temperature. Islet sections immunolabelled for insulin and hIAPP oligomers were incubated with Alexa 488-conjugated anti-guinea pig (1:750; Molecular Probes) and Texas red-conjugated anti-rabbit (1:400; Jackson). For double insulin and TUNEL or thioflavin S (amyloid) staining, after immunolabelling for insulin, islet sections were incubated with TUNEL reaction mixture (Roche Diagnostics) for 30 min at 37°C or 5 min at room temperature with 0.5% (wt/vol.) thioflavin S solution. Insulin release from human islets was measured in the culture medium from exenatide-treated and non-treated islets following 2 or 7 days’ culture in 11.1 mmol/l glucose. Insulin response to elevated glucose was measured in exenatide-treated and non-treated islets by performing a glucose-stimulated insulin secretion (GSIS) test following 7-day culture in 11.1 mmol/l glucose. Briefly, islets were pre-incubated (1 h) in 300 μl KRB containing 10 mmol/l HEPES (pH 7.4), 0.25% BSA and 1.67 mmol/l glucose at 37°C followed by 1 h incubation in 150 μl KRB containing 1.67 mmol/l (basal insulin release) and then 1 h incubation in KRB with 16.7 mmol/l glucose (stimulated insulin release). Islets were lysed in 100 μl of 1 mol/l acetic acid/0.1% BSA lysis buffer followed by 10 min incubation at 100°C. Incubation media and islet lysates were centrifuged and supernatant fractions were frozen (−70°C) until assayed using a human specific insulin ELISA kit (ALPCO Diagnostics, Salem, NH, USA). About 100 islets were lysed in 30 μl lysis buffer containing 50 mmol/l Tris–HCl (pH 8.0), 150 mmol/l NaCl, 0.02% sodium azide, 0.1% sodium dodecyl sulphate, 1% Nonidet P-40, 0.5% sodium deoxycholate, 1 mmol/l PMSF and 10 μg/ml aprotinin, for 25 min on ice and vortexed every 5 min. Samples were centrifuged (15,000g, 10 min, 4°C) and the supernatant fractions were frozen at −70°C until analysis. To detect the (pro)IAPP immunoreactive forms released from islets, culture medium was incubated with IAPP antibody (T-4145) for 6 h at 4°C followed by 2.5 h incubation with protein G sepharose (Amersham, Baie D’Urfe, QC, Canada). Aliquots of protein (10 or 15 μg) from islet lysates or protein G-(pro)IAPP complex in 4% sample buffer were electrophoresed on polyacrylamide gel (using Tris-tricine buffer for IAPP) followed by immunoblot with NH2-terminal (8546) or COOH-terminal (8548) prohIAPP specific antisera at 1:100, glyceraldehyde-3-phosphate dehydrogenase (GAPDH) or IAPP (T-4145) antibodies at 1:1,000, for 1 h at room temperature. For detection of phosphorylated JNK, membranes were incubated with phospho-JNK antibody (1:750; Cell Signaling) overnight at 4°C. Membranes were then washed and incubated with horseradish peroxidase-conjugated anti-rabbit IgG or anti-mouse IgG for GAPDH (Amersham) at 1:5,000 for 1 h. Immunodetection was performed using an enhanced chemiluminescence detection kit (Amersham). Protein bands on the films were analysed by densitometry using Image Lab software (Bio-Rad). Data are expressed as means ± SEM. Statistical analyses were performed using one-way or two-way ANOVA followed by Newman–Keuls test or by Student’s t test as appropriate. A p value of < 0.05 was considered significant. The studies were performed on ten human islet preparations in duplicate unless otherwise stated in the figure legends. Islet beta cell apoptosis was assessed by activation of caspase-3 and quantitative immunolabelling for insulin and TUNEL. Exenatide-treated human islets had significantly lower caspase-3 activation than non-treated cultured islets (Fig. 1a, b). Furthermore, treatment with exenatide markedly reduced the number of TUNEL-positive (apoptotic) beta cells in human islets cultured for 2 or 7 days in normal or elevated glucose conditions (Fig. 1c–e). The anti-apoptotic effects of exenatide were concentration dependent with a maximal effect observed at 10 nmol/l (ESM Fig. 1). Despite the high rate of beta cell apoptosis, cultured human islets had a very low number of apoptotic alpha cells with no difference detectable between exenatide-treated and non-treated islets (Fig. 1f, g). We tested whether reduced beta cell apoptosis is associated with higher beta cell mass in exenatide-treated human islets as compared with non-treated cultured islets. Islets were immunolabelled for insulin and glucagon following culture in normal or elevated glucose with or without 10 nmol/l exenatide (Fig. 2a). There was no detectable difference in islet beta/alpha cell ratio or islet beta cell area between 2-day cultured exenatide-treated and non-treated islets (Fig. 2b, c). The progressive beta cell death in human islets during 7-day culture decreased beta cell mass manifested as reduced islet beta/alpha cell ratio and beta cell area as compared with pre-culture islets (Fig. 2d, e). Treatment with exenatide markedly increased islet beta/alpha cell ratio and preserved islet beta cell area during 7-day culture. To assess the potential effects of exenatide on beta cell proliferation, exenatide-treated and non-treated islets were immunolabelled for insulin and proliferating cell nuclear antigen (PCNA, a marker of cell proliferation) or phospho(active)-protein kinase B (PKB). The beta cell proliferation rate was comparable in 2-day cultured exenatide-treated and non-treated islets but was higher in exenatide-treated islets at 5.5 and 11.1 mmol/l glucose following 7-day culture, suggesting that treatment with exenatide may enhance beta cell proliferation in cultured human islets (Fig. 3a, b). We further detected phospho-PKB in exenatide-treated islets as a potential mechanism mediating the beta cell protective effects of exenatide. Phospho-PKB-positive beta cells were detectable by immunolabelling in human islets cultured in elevated glucose but not normal glucose conditions. Interestingly, phospho-PKB-positive beta cells were detected in exenatide-treated human islets at both 5.5 and 11.1 mmol/l glucose (Fig. 3c), suggesting that PKB may play a role in mediating the protective effects of exenatide on beta cell survival during islet culture. Islet insulin content and insulin release from the exenatide-treated and non-treated human islets were measured to test if enhanced beta cell survival during islet culture with exenatide is associated with improved beta cell function. Exenatide-treated islets had higher insulin release during culture in 11.1 mmol/l glucose than non-treated islets, which was more profound on day 2 of culture than day 7 (Fig. 4a, c). Islet insulin content was not significantly different in 2-day cultured exenatide-treated and non-treated islets but was higher in 7-day exenatide-treated islets (Fig. 4b, d). Moreover, there was no detectable difference in basal insulin release (1.67 mmol/l glucose) between exenatide-treated and non-treated islets cultured in 11.1 mmol/l glucose for 7 days but exenatide-treated islets had a greater insulin response to elevated glucose (Fig. 4e) associated with their higher insulin content (Fig. 4f). (Pro)hIAPP immunoreactive forms, including prohIAPP, its intermediates and mature hIAPP (Fig. 5a), were identified in the exenatide-treated and non-treated islet lysates following 7-day culture in normal or elevated glucose. Mature hIAPP was the major (pro)hIAPP immunoreactive form detected in freshly isolated human islets with low levels of unprocessed and partially processed prohIAPP also detectable (Fig. 5b). Islet culture resulted in impaired prohIAPP processing manifested as elevated levels of partially processed prohIAPP form(s) at normal and high glucose conditions (Fig. 5b, c), suggesting that both islet culture and elevated glucose can induce impaired prohIAPP processing in human islets. The antisera against the NH2-terminus of prohIAPP identified this elevated intermediate form to be the NH2-terminally unprocessed prohIAPP (Fig. 5d). The level of COOH-terminal unprocessed prohIAPP intermediate remained unchanged during 7-day culture (Fig. 5d), suggesting that impaired prohIAPP processing occurred mainly at its NH2-terminal cleavage site. ProhIAPP intermediate(s) was the major form released from the non-treated cultured islets along with low levels of mature hIAPP (Fig. 5b). Enhanced beta cell function with exenatide treatment restored impaired prohIAPP processing and markedly reduced NH2-terminally unprocessed prohIAPP levels in human islets during culture with normal and elevated glucose (Fig. 5b, c). ProhIAPP protein levels were comparable in exenatide-treated and non-treated islets. Also, exenatide treatment did not have any significant effect on IAPP mRNA levels (data not shown). Finally, improved prohIAPP processing in exenatide-treated islets was associated with reduced release of prohIAPP intermediate forms. Thus, mature hIAPP was the main (pro)hIAPP form released from exenatide-treated islets (Fig. 5b). Impaired prohIAPP processing at its NH2-terminus has been shown to contribute to amyloid formation [30, 31]. Therefore, we examined whether improved prohIAPP processing in exenatide-treated human islets can decrease formation of hIAPP aggregates, thereby reducing amyloid beta cell toxicity. hIAPP oligomers and thioflavin S (amyloid)-positive islets were absent in freshly isolated human islets but were present in 7-day cultured islets (Fig. 6a, b). Interestingly, the number of islets containing hIAPP oligomers was markedly lower in human islets treated with exenatide than non-treated cultured islets as assessed by immunolabelling for insulin and hIAPP oligomers (Fig. 6c). Furthermore, eight of ten exenatide-treated human islet preparations had lower number of thioflavin S-positive islets and islet amyloid area than non-treated cultured islets and two had comparable levels of amyloid formation (Fig. 6d, e). We tested whether amyloid formation in cultured human islets induces JNK activation and examined the effects of exenatide on JNK activation as a potential mechanism by which exenatide may protect beta cells from amyloid toxicity. Immunolabelling for insulin and phospho-JNK revealed that amyloid formation in cultured human islets was associated with an increased number of phospho-JNK-positive beta cells and that exenatide-treated islets had a markedly lower number of phospho-JNK-positive beta cells than non-treated cultured islets (Fig. 7a). There was no significant difference between phospho-JNK protein levels in whole lysates from exenatide-treated and non-treated human islets as revealed by western blot (Fig. 7b), likely because in whole-islet lysates, alpha cells that form a significant proportion of cells in human islets mask the changes in beta cell phospho-JNK levels induced by hIAPP aggregates. In this study, we used human islets in culture as an ex vivo model of endogenous islet amyloid formation and impaired beta cell function. Our results demonstrated that exenatide, a GLP-1R agonist, enhances beta cell survival and function during culture conditions used in clinical islet transplantation thus providing a feasible approach to preserve beta cells during pre-transplant islet culture. We further showed that enhanced beta cell function with exenatide treatment can restore impaired prohIAPP processing in cultured human islets resulting in lower release of immature (pro)hIAPP forms from beta cells and thereby reducing hIAPP aggregation. Treatment with exenatide markedly lowered beta cell apoptosis in human islets during 2 and 7 days’ culture at both normal and elevated glucose conditions. This resulted in a higher islet beta/alpha cell ratio and beta cell/total islet area in 7-day exenatide-treated islets than non-treated cultured islets, suggesting that exenatide treatment preserves beta cell mass during islet culture. These findings are consistent with those of a previous study, which showed that GLP-1 reduces cell apoptosis in cultured human islets . Furthermore, the rate of apoptosis was much lower in alpha cells than beta cells during culture and treatment with exenatide had no detectable effect on alpha cell survival. The beta cell proliferation rate was higher in 7-day exenatide-treated islets than non-treated cultured islets, suggesting that exenatide treatment may enhance beta cell proliferation during islet culture. However, considering the low beta cell proliferation rate in human islets during culture, changes in beta cell proliferation does not appear to play a significant role in the preservation of beta cell mass by exenatide during islet culture. Previous studies have suggested that GLP-1 protects beta cells from apoptosis in a PKB-dependent manner in transformed beta cells [35, 38, 44]. Thus, we detected phospho(active)-PKB immunoreactivity in exenatide-treated and non-treated human islets. Phospho-PKB positive beta cells were not detectable by immunostaining in islet beta cells cultured in normal glucose but were detectable in a portion of beta cells cultured in high glucose. Interestingly, phospho-PKB-positive beta cells were present in exenatide-treated islets regardless of glucose concentration, suggesting that exenatide treatment increases PKB phosphorylation independent of elevated glucose conditions. Thus, PKB signalling may play a role in mediating the beta cell protective effects of exenatide during islet culture and amyloid formation. The exenatide-treated human islets had a higher insulin secretion than non-treated islets cultured in 11.1 mmol/1 glucose but the effects of exenatide on islet insulin release was more profound on day 2 than day 7. One possible explanation for the decrease in exenatide-induced insulin release during 7-day culture with elevated glucose is downregulation of the GLP-1 receptors on beta cells . Furthermore, 7-day exenatide-treated islets had comparable basal insulin release but a greater insulin response to elevated glucose following incubation in exenatide-free buffer and had a higher insulin content. Therefore, it appears that the effects of exenatide on beta cells are maintained after its removal. In support, a previous study has reported that treatment with GLP-1 increases beta cell insulin content in human isolated islets . One of the key findings of this study is to show that exenatide treatment restores impaired prohIAPP processing in human islets. Islet culture was associated with impaired prohIAPP processing manifested as elevated cellular content of NH2-terminally unprocessed prohIAPP and its higher release from beta cells. Exenatide treatment markedly enhanced prohIAPP processing resulting in lower cellular levels of NH2-terminally unprocessed prohIAPP and higher levels of mature hIAPP. The effects of exenatide on prohIAPP appear to be mainly on its processing rather than its expression since only a modest increase in prohIAPP protein levels and no detectable changes in IAPP mRNA levels were observed in exenatide-treated islets. Furthermore, exenatide treatment reduced the proportion of immature (pro)hIAPP to hIAPP released from human islets during culture. Thus, the major immunoreactive form released from exenatide-treated islets was mature hIAPP. Accordingly, treatment with exenatide was shown to reduce serum proinsulin-to-insulin ratio in type 1 diabetes recipients of human islets with graft dysfunction . Increased insulin secretion from beta cells by GLP-1R agonists also increases the release of hIAPP that is co-secreted with insulin [25, 29], raising the possibility that GLP-1R agonists may potentiate amyloid formation in human islets. However, our studies suggest that exenatide-treated human islets release mainly mature hIAPP rather than immature (pro)hIAPP. Accordingly, previous studies have shown that an elevated hIAPP level per se, such as its overexpression in hIAPP-expressing mice, is not sufficient for amyloid formation  whereas elevated production and release of immature (pro)hIAPP potentiates hIAPP aggregation [30, 31]. Importantly, improved prohIAPP processing by enhancing beta cell function in human islets with exenatide was associated with a lower number of islets containing hIAPP oligomers and amyloid deposits as well as a lower islet amyloid area in relation to total islet area compared with non-treated cultured islets. These findings suggest that enhancing beta cell function at early stages of islet culture may have a significant impact on reducing amyloid formation. Similarly, treatment of patients with type 2 diabetes and islet recipients with type 1 diabetes, at early stages of beta cell dysfunction may slow down the process of hIAPP aggregation and thereby amyloid-induced beta cell death. In support, two recent studies have demonstrated that treatment with GLP-1R agonists, such as exenatide and liraglutide, reduces Aβ oligomers, amyloid plaque formation and toxicity in the brains of mice in models of Alzheimer’s disease [47, 48]. Treatment with exendin-4 in hIAPP-expressing transgenic mouse islets, which form amyloid much faster than human islets during culture, was shown to potentiate amyloid formation during short-term (2 day) culture with high glucose . This finding suggests that the level of hIAPP released from islets (human vs transgenic mouse) and the glucose conditions to which islets are exposed may play important roles in the net effect of GLP-1R agonists on amyloid formation. Interestingly, exendin-4 treated hIAPP-expressing mouse islets, despite their higher amyloid formation, had lower beta cell apoptosis and higher islet beta cell area than non-treated cultured islets . Thus, GLP-1R agonists may protect islet beta cells from amyloid toxicity even after formation of hIAPP aggregates. Finally, consistent with recent findings in hIAPP-expressing mice , our studies showed that amyloid formation in cultured human islets is associated with increased levels of phospho-JNK in beta cells. We further demonstrated that exenatide-treated islets had markedly lower levels of beta cell phospho-JNK, suggesting that exenatide may protect islet beta cells from amyloid toxicity by reducing JNK activation. Interestingly, elevated JNK phosphorylation and prevention of its activation by exenatide were recently reported in a mouse model of Alzheimer’s disease , raising the idea that different forms of amyloidogenesis share similar mechanisms of toxicity. In summary, GLP-1R agonists may provide a feasible approach to enhance beta cell function and preserve beta cell mass during pre-transplant islet culture. Improving the function of beta cells with GLP-1R agonists restores impaired prohIAPP processing and reduces hIAPP aggregation and its beta cell toxicity, in conditions associated with islet amyloid formation such as type 2 diabetes, islet culture and transplantation. Human islets for these studies were provided by the Ike Barber Human Islet Transplant Laboratory (Vancouver, BC, Canada). Antisera specific to the NH2- and COOH-terminal of prohIAPP were a gift from C. B. Verchere (University of British Columbia, Vancouver, BC, Canada). We gratefully acknowledge the outstanding technical assistance of I. Barta (Department of Pathology and Laboratory Medicine, University of British Columbia, Vancouver, Canada), A. Asadi and T. Webber (Department of Cellular and Physiological Sciences, University of British Columbia, Canada) to the completion of these studies. This work was supported by an operating grant from the Canadian Institutes of Health Research to L. Marzban (MOP-81375). Infrastructure support was provided by grants from the Canadian Foundation for Innovation (L. Marzban) and the Michael Smith Foundation for Health Research (MSFHR) to the Centre for Human Islet Transplantation and Beta-Cell Regeneration (G. L. Warnock). Y. J. Park is supported by a studentship from the CIHR Transplant Research Training Program. L. Marzban is a Scholar of the Canadian Diabetes Association and T. J. Kieffer is an MSFHR Senior Scholar. All authors contributed to the conception and design or the analysis and interpretation of data, and drafting the article or revising it critically for important intellectual content. All authors gave final approval of the version to be published.